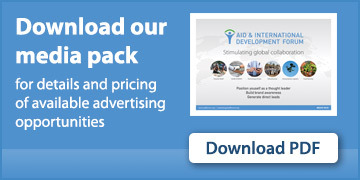 How is NURU involved in humanitarian and development sectors? Our mission is to end extreme poverty in remote rural communities. Our model involves empowering the local people to make meaningful choices in a sustainable and scalable way as a way of poverty eradication. The model is Holistic, Sustainable, and Scalable with the aim of creating community Resilience. We have integrated our programs within the cooperative societies to tackle the fundamental challenges of extreme poverty as a way of creating community ownership of the programs. How is NURU represented in Kenya? We are in Migori County, Kenya. We are currently working in 68 sub-locations within 38 locations in Migori County. We have so far worked directly with over 23,000 farmers in those regions. What does your role as Country Director at NURU Kenya entail? As Country Director, I provide overall leadership and strategic direction to Nuru Kenya programs and create a vision for Nuru Kenya and leading the team to realise the vision. I manage all the teams and all the affairs of the organisation, as well as the financial/fundraising affairs of the organisation. I also engage the community and manage the stakeholders. Finally, I support the board of directors. What initiatives/programs/projects are being implemented that you are involved in? The organisation has established 14 Farmers’ Cooperative Societies and engages household members in building resilience and ending intergenerational poverty by delivering to the farmers and their household members, high touch holistic interventions that are integrated within their nearest cooperatives. These are: Livelihood (Crop and Dairy farming, Financial Inclusion), Healthcare and Education Programs. The Livelihood Program will build a diversified agricultural production for food security and income opportunities by increasing farmers’ crop yields, promotion, and adoption of dairy farming and financial literacy training. Three interventions are rolled out: Agriculture Program, Dairy Program; and Financial Inclusion. The Education Program will conduct teachers training and provides educational materials in order to increase English literacy skills. The Healthcare Program will work with Nuru farmer families to reduce preventable maternal and under-five child diseases and deaths by supporting families to adopt and maintain targeted healthy behaviours. What will your presentation at the Aid & Development Africa Summit 2018 address and why is it important for those attending to engage in this topic? I will address “Increasing cross-industry collaboration and coordination of initiatives for climate-smart agriculture”. This is important because it will shed more light on how to create greater value and differentiation in mature and extremely competitive markets; developing greater entrepreneurial spirit and open project platforms; how to make new, strategic business connections and why it is important to build local community capacity among other factors. More emphasis should be put on Holistic, Sustainable, and Scalable programs that build the resilience of the community members. More forums should be created where development partners meet to network and find solutions to extreme poverty in Kenya and beyond and ultimately meet the Sustainable Development Goals on ending poverty in all its forms everywhere. How can we increase cross-industry collaboration and coordination of initiatives for climate-smart agriculture? We can do so by creating greater value and differentiation in mature and extremely competitive markets, and constantly focusing on proactive coordination. We can also make organic investments and engage in strategic alliances. Cross-industry collaboration can be further achieved by integrating appropriate ecosystems, making new, strategic business connections, building the local community’s capacity and be holding individuals accountable to their inclusion and diversity commitments. Developing a greater entrepreneurial spirit and open project platform, building and maintaining open modular cross financial IT platforms and creating safe spaces are all additional strategies we can employ to achieve this. Lastly, we can consider the facilitation structure and experiences within groups. I look forward to networking with other organisations and share what we do and how we end extreme poverty in remote rural communities. I participated in the previous Aid & Development Africa Summit as well as a speaker. I still expect multiple activities in the 2018 Summit. I expect Panel discussions, roundtable discussions, a number of innovation pitches, and exhibitions by various organisations. I will network with like-minded partners and share experiences and gather what can be scaled to other areas. I anticipate getting an opportunity to meet potential donors and convince them to consider funding Nuru Kenya to end poverty. Why is it important for you and the NURU to engage in such events? Such events create forums where we share what we do as an organisation and share how we are working to end extreme poverty in remote rural communities in Migori County. It is an avenue to network with like-minded partners and share experiences and gather what can be scaled to other areas. The event will also create an opportunity to meet potential donors and convince them to consider funding Nuru Kenya to end poverty. Ending extreme poverty in all its forms needs a holistic approach. The programs should be scalable, sustainable and should be able to build the resilience of the targeted group. 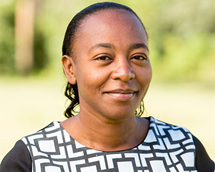 Pauline Wambeti, the Country Director of Nuru Kenya will be speaking at the 3rd annual Aid & Development Africa Summit hosted by Aid & International Development Forum (AIDF) on the 27-28th February 2018 in Nairobi, Kenya. For more information on the Aid & Development Africa Summit, visit www.africa.aidforum.org or email Alina O'Keeffe, Head of Marketing, AIDF at marketing@aidforum.org.